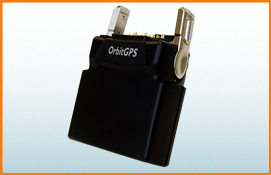 The OrbitGPS Snap On GPS receiver is the only way to add tightly-integrated GPS to your MC9X90 based mobile data collection or RFID solutions. Just snap it on, point your app to the com port and you have GPS…simple. Get in touch about the G3090 GPS Snap on and see how you can leverage your investment in MC9090 and MC9190 mobile computers.